The PARLANTE-ENSEMBLE Salzburg was established in 2008. 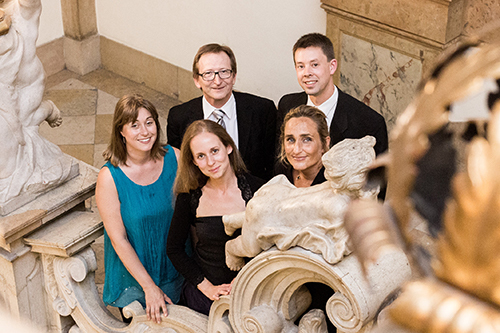 The members are from the Camerata Salzburg and the Mozarteum Orcherstra. The repertoire includes music from the Vienna classic as well as contemporary music. The musicians perform all over Europe in different formations from duo to sextet. Seats will be assigned after booking. Unnumbered seats behind and on the side of Cat. I, open seating.